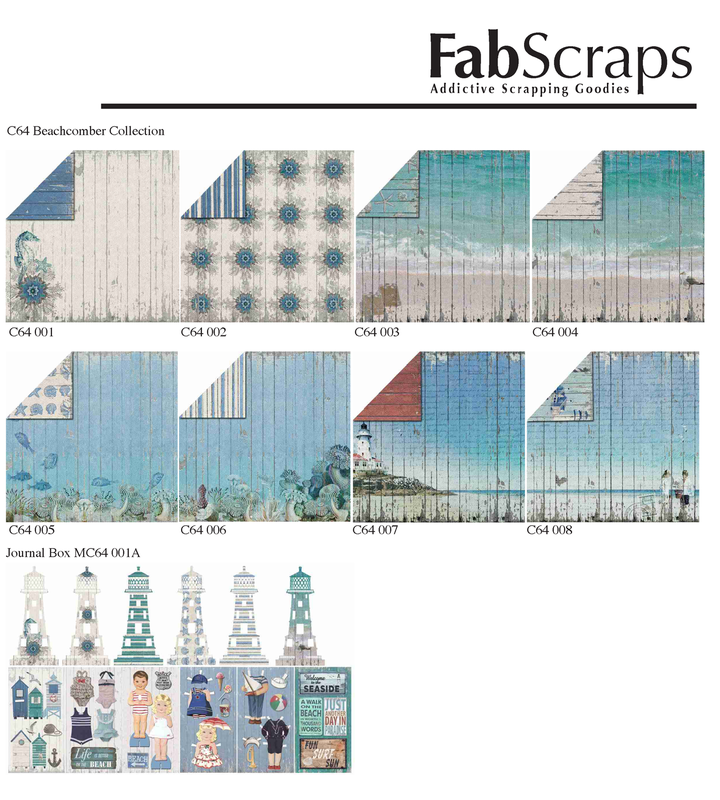 FabScraps Beachcomber Collection - Get your's here! 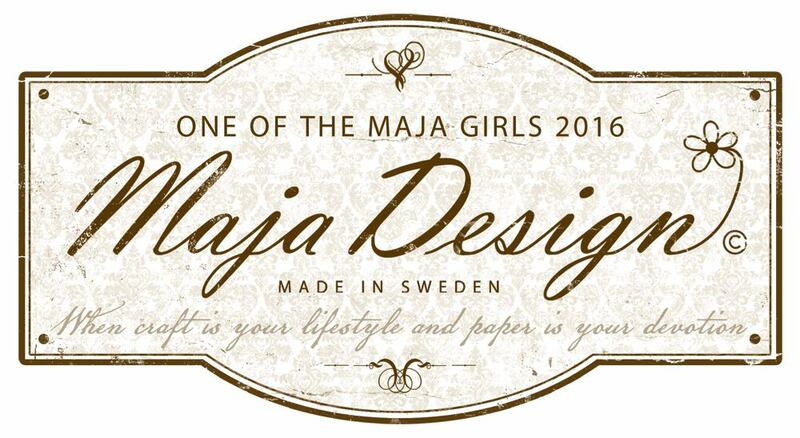 FabScraps introduces it's newest collection - freshly released at CHA 2014. This is Beachcomber. So very peaceful and refreshing. 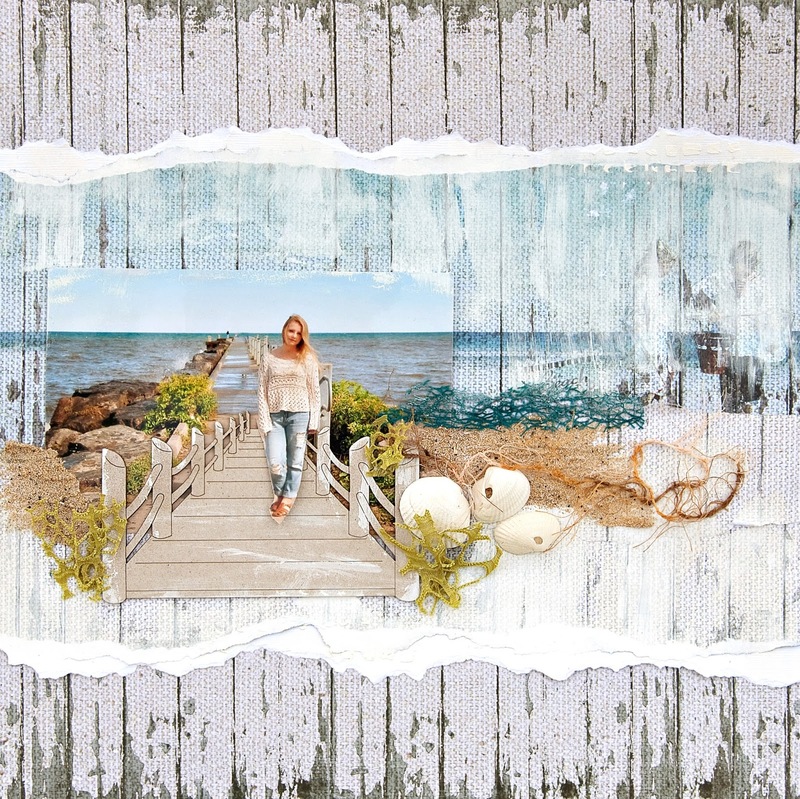 I am having fun using this collection and pulling out my beachside images, especially when all the water around me is frozen and we are currently in "ice fishing" and "ice skating" season. 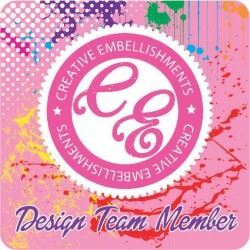 FabScraps also has so rockin great chipboard pieces to accompany this collection. 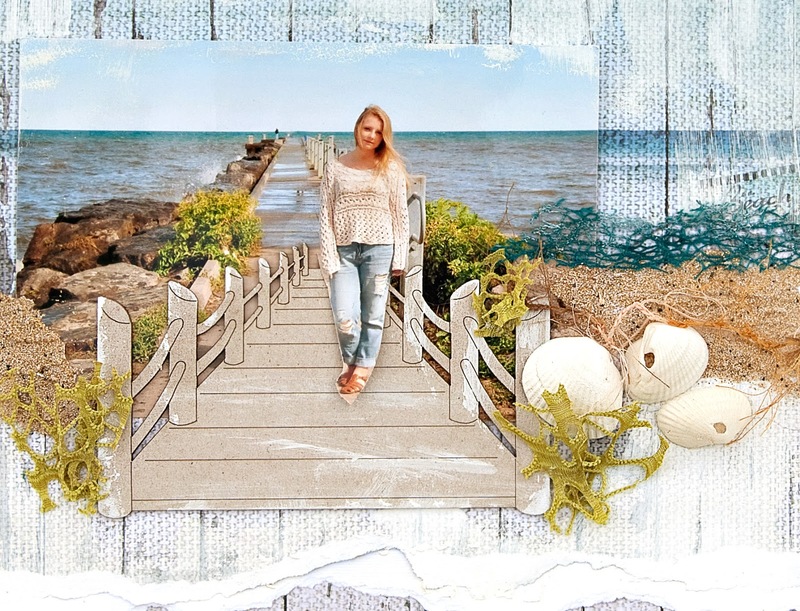 I used the pier chipboard piece and positioned my niece on the FabScraps pier. 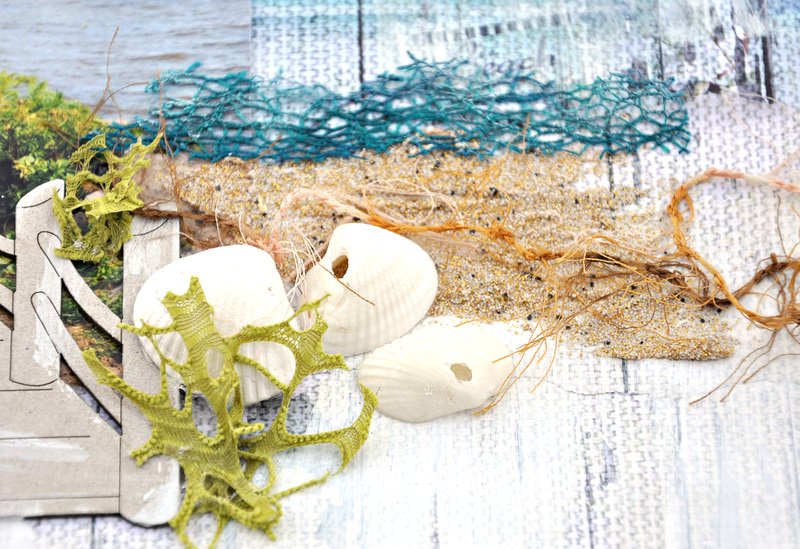 Then I built the foreground with deco-sand and shells and web weave trim. Love this web weave trim. I have some simple instructions for creating this layout if you scroll down. 2. Cut 5 inches wide strip of FabScraps Beachcomber Collection Light House 2 C64008 and 5 inches of Big Belly Sea Horse 1 C64001 and glue to the center of white sheet of cardstock. Rip the card stock on both ends so that only a little cardstock is showing. 4. Lightly paint a whitewash ( paint mixed with water to thin it out) of white gesso with a foam brush over the FabScraps papers to blend in and look misty. 6. Glue FabScraps chipboard Pier DC64012 to the page. Lightly dust the chipboard with the foam brush to add a little gesso. 8. Add sand mixed with glue or some sand texture paste to the page for a sandy beach. 10. Add some green web weave to the page for foliage. Jen, your LO is so fresh and breathtaking!! Love your altered peanut container too! Awesome layout Jen. Love the blending between the picture and the background, just inspired!